Looking to try paddle boarding? or just looking for your next board? Well you’re in the right place, we’re going to look at 7 of the best SUPs on the market. We’re going to cover the best stand up paddle boards that are good for the ocean, flat water, surfing, fishing and of course beginners. With so many SUPs on the market it can be confusing, so we’re going to help you choose the right one for you. If you are in the market for an inflatable paddle board, see my reviews of iSUPs here. Here is a feature comparison of my 3 favorite top rated paddle boards with reviews and our buyers guide below. Length: 10’5” 10’5" 3 Sizes - 9'4" to 11'4"
Weight Capacity: 275 lbs 250 lbs 135lbs for 9'4"
This 10’5” long epoxy paddle board is great for beginners and intermediates who are just getting started on flat water and small waves. With a width of 32” and a volume of 175 liters, this board is made with Thermal Molded Construction which makes it lightweight, stable and versatile. It also makes it easy to carry and paddle. The size and volume of this board makes it ideal for people who want to gradually improve their skills. 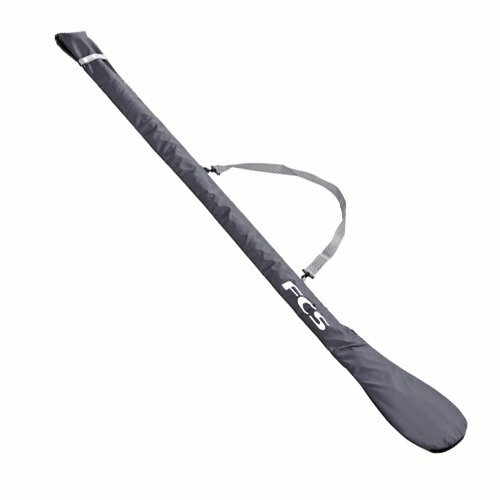 Isle includes a carbon fiber paddle, a 9″ center fin for excellent tracking and a carry handle to make taking it to, into and out of the water a breeze. The ISLE Versa is not what I would call cheap but it may be the best stand up paddle board for the money, highly recommended. The Peak Soft Top SUP is probably the most beautiful board on our list! Now that of course is not a great reason to buy a SUP but it doesn’t hurt. It has a large traction pad that allows you flexibility to move your position on the board but also do Yoga. The Escape is 32 inches wide so it’s a stable board that is ideal for beginners but is suitable for intermediate to more advanced paddlers. At 10’6” long, it’s a fast SUP with a removable 9″ center fin that provides good tracking. 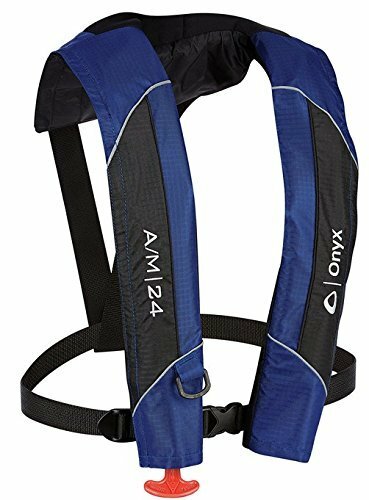 Peak included bungee cord rigging in the front to attach a PFD. It has a wooden stringer for extra strength with reinforced side rails to protect against dings. It’s easy to transport with a recessed handle and Peak includes a matching 2 piece aluminum paddle, lease and a waterproof smart phone case. Best For: Beginner/Intermediate paddlers who want a beautiful SUP that is ideal for all around use. 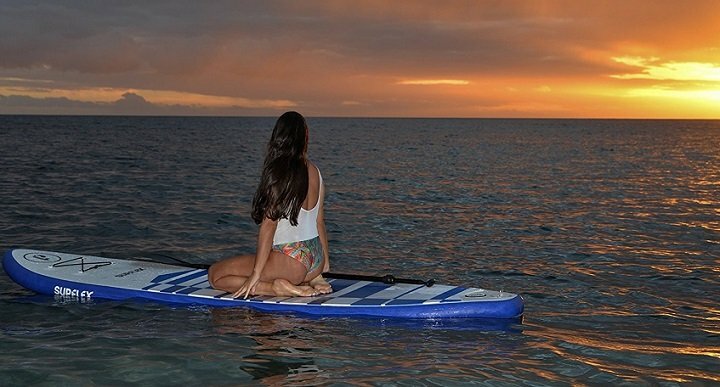 This classically designed paddle board is made of Polyethylene plastic – the most common type of durable plastic – and is a strong and long-lasting board. It comes in a variety of sizes and colors ranging from 9’2″ to 11’6” long. With its integrated deck pad for safety and good looks, 10” dolphin fin, plus combined leash plug and deck rig anchor it is great for the family and beginners of all ages. The 8’4″ BIC Sport is an excellent paddle board for kids and the 11’4″ model is a top contender for the best SUP. The built-in ergonomic handle with recesses makes carrying it much easier and more comfortable no matter which size board you choose to go with. This board is most suitable for flat water and small waves like in a lake or close to the shore in the ocean. With its EPS core with TRIPLE stringer system and high density bottom, it is stable and durable, making it great for everyone in your family. With an extra wide, non-slip deck and 10’5″ long, there is even room for Fido or Fluffy to hop on board for a ride. SUP boarding with the family dog can be a great way to get the whole family involved in family outings. Isle also includes an adjustable paddle, a 9” center fin for good tracking and a center handle for carrying. 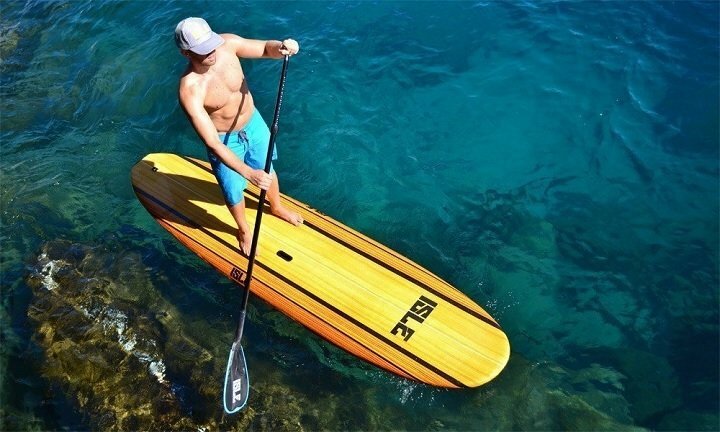 The ISLE Classic Soft Top is probably the best all around stand up paddle board. 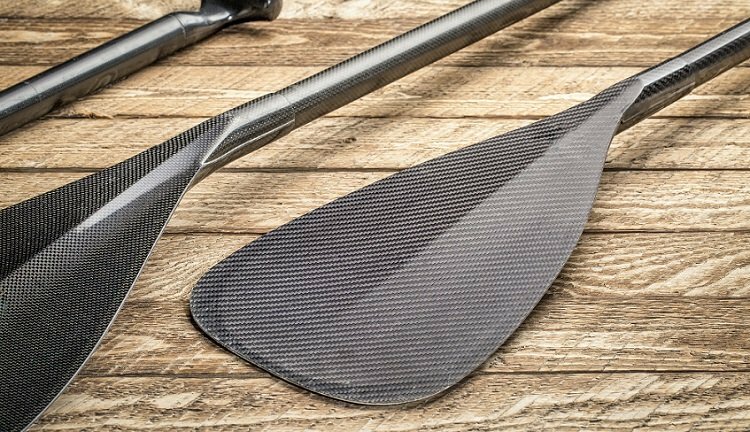 This 10.5-foot-long, High Density EPS foam paddle board with its waterproof core holds up to 300 lbs and includes an adjustable carbon fiber paddle. A camera mount is also included so that you can get some great shots of you or your kids riding the waves. 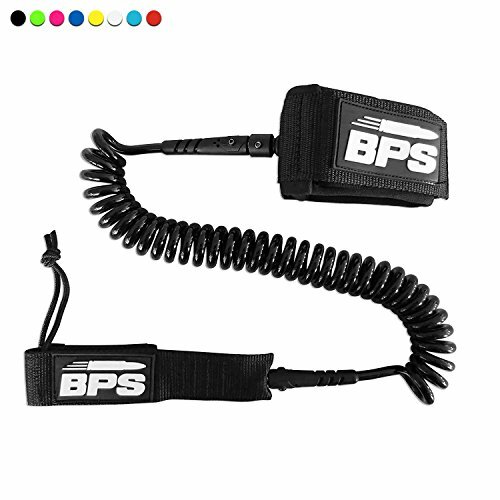 It also has a molded-in nylon leash plug for easy leash attachment and a molded nylon SUP handle with finger grooves so you can carry it with ease. 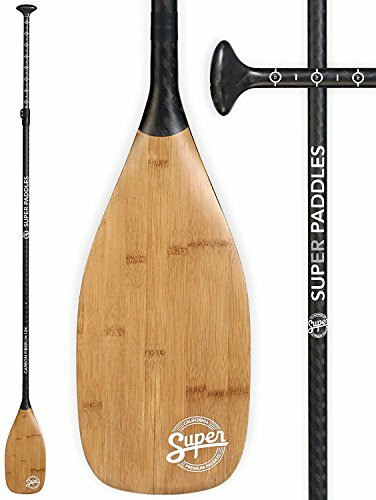 This SUP is a good choice for beginner and intermediate paddle boarders because of its stability and light weight at 25 pounds. With multilayered wooden stringers, it’s a very rigid board that is easy to stand up on and maintain your balance giving you confidence. 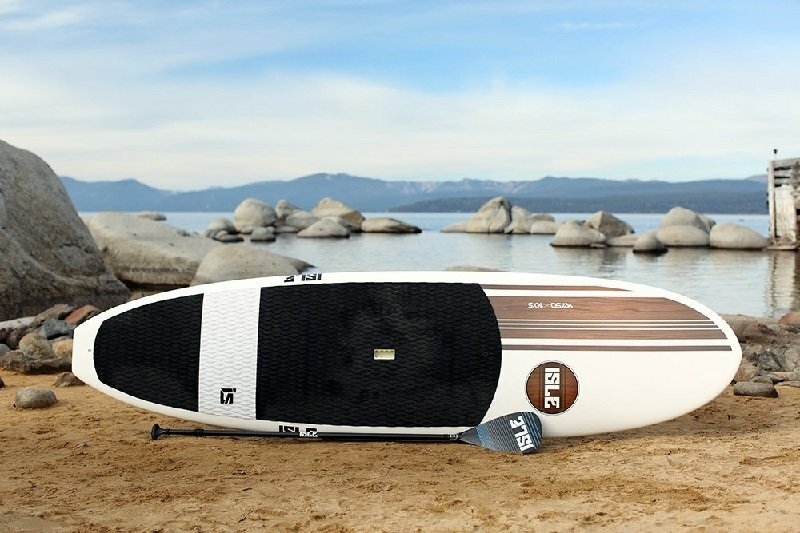 This would be my pick for the best stand up paddle board under $700. Available in a variety of colors and sizes this surf board inspired paddle board is an all-around board that is generally best used on flat waters and small waves. The ACE-TEC epoxy composite allows for a lightweight and durable board which includes a plush EVA deck pad, center fin and an ergonomic carrying handle. This SUP board is suitable for surfing those small waves but also has a great glide for when you’re on flat water. It’s like having the best of both worlds all in one board making it the best all around sup. This is 11 foot, two-in-one hybrid board and can be used for both stand up and sit on paddling, making it the most versatile SUP on our list. With its wave-piercing displacement style bow and broad planning hull with integral tri-fin design you can cut through the water smoothly with precision. 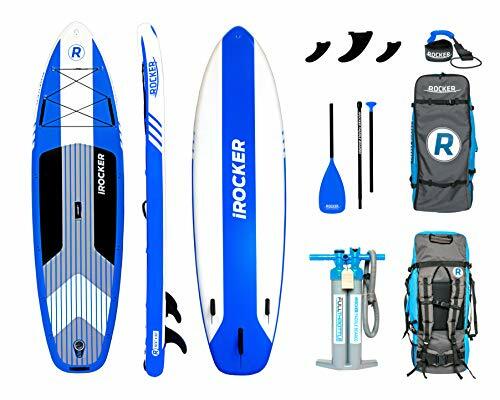 This board is worthy enough for novice and intermediate boarders who are ready to get out on the water and start learning this awesome sport on flat water and even moderate waves. 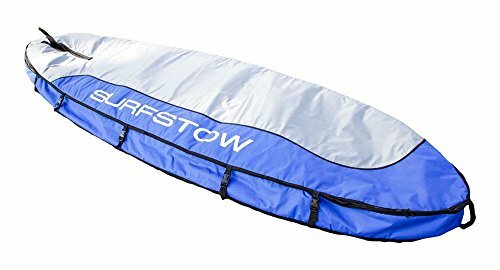 The flat bottom will make for a comfortable standing position and the built-in bungee cords allows for storage space on the back of the paddle board so you don’t have to worry about losing your belongings. Video: Overview of the Nalu Hydrid SUP. Plus, the two side-mounted handles making carrying and getting on the board while in the water really easy. With the ability to sit comfortably and rear storage, the Nalu Hybrid is the best paddle board for fishing. Best For: Fishing and Moderate Waves. Paddle boarding can be a fun and exciting experience, if you are prepared with the right equipment and the knowledge required to be successful. The first and most important thing that you will need to begin is, of course, the paddle board. In this guide, you will find helpful hints and tips for both buying the perfect paddle board for your needs and some things you should remember if you are just starting out. Paddle boarding is a test of balance, agility, your powers of observation and even your knowledge of the ocean, river, or lake. Being prepared is very important so that you can enjoy an exciting and fun boarding experience. There are four main types of paddle boards, determining what your goals are will help you to decide which board works best for you. All-Arounders: These boards are similar to traditional surfboards and are great for beginners and for those who tend to stay close to the shore or on calmer water. 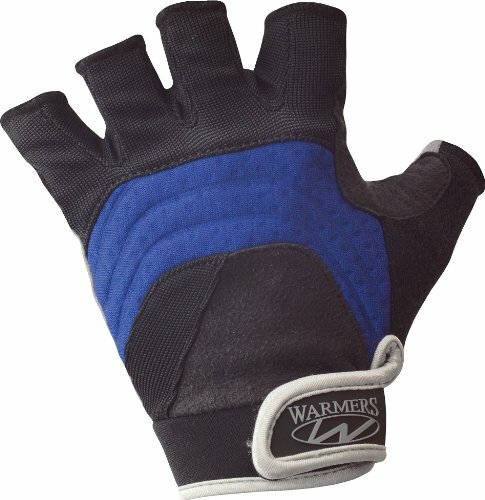 These are also great for anyone who wants to fish from their board. Race and Touring Boards: These boards generally have a pointed nose which makes it easier to paddle longer distances. However, the entire board tends to be narrower so it is a good idea to make sure that you have a board that you can balance on and the narrower boards take more practice to get used to balancing on them. Being more pointed and narrower means you can get up to higher speeds. Kids’ Stand Up Paddle Boards: As the name says, these boards are designed specifically for kids and younger or smaller paddle boarders. They are usually lighter in weight, wider and smaller in size making them easier for kids to maneuver in the water. There are different types of kids’ boards so you will still have to look further into the boards best for your children if you are shopping for young boarders. Family Boards: These are great for the whole family, and they are soft-top boards that have a wide nose and stable tail making it easy for everyone to use, kids included. These are perfect for some good family fun. Boards For Women: When paddle boarding first became popular, the boards were heavy and difficult to carry. Now you can buy boards that are lightweight and some even have a narrower middle, making it easier to reach across the board for more convenient carrying. Some boards are even meant specifically for yoga stretching and poses. So let’s take a look at some things you need to know to choose the right SUP. The SUP length is the primary determination of how the board handles and how fast it goes. Just like kayaks, the shorter the SUP the easier it is to turn and maneuver. SUP <10 Feet – These paddle boards are ideal for surfing with their short length and good maneuverability. Short boards are also ideal for kids because they are easy to turn. SUP 10-12 Feet – This is the “typical” size for paddle boards. These are excellent all around boards for beginners to intermediates. SUP >12 Feet – Paddle boards over 12 feet are known as “touring” SUPs. With their longer length they are faster and meant for long distance paddling. They also tend to track better but as a tradeoff less maneuverable. Just keep in mind, longer boards are harder to store and transport! The width of your SUP is also a factor in how it maneuvers. As you may guess a wider board is more stable. Unfortunately you give up some handling but also SPEED. Wider boards are slower. SUPs come in widths between 25 and 36 inches with 30-33 between by far the most common. Height/Width – Try and match your board width to your body type. So if you’re a shorter, lighter paddler then go with a narrower board because you will have a much easier time maneuvering it. While a taller, heavier person should go with a wider more stable board. Skill Level – If you are an experience paddler, the narrowest board that has sufficient buoyancy and storage space is best to allow faster, easier paddling. 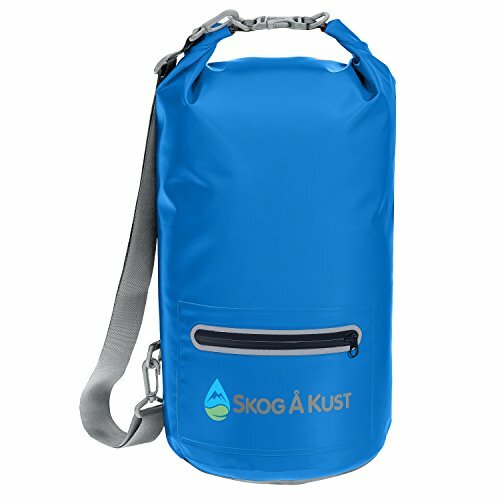 Style of Paddling – If you plan on touring or going out for hours with a cooler and other gear, then keep in mind you will need more storage area. A wider board of 31-33 inches should be sufficient. If you plan on doing Yoga, you definitely want a wider, more stable board. Our last criteria in a SUP is thickness. Once you determine your length and width you need to look at thickness. Being a thicker board is going to have more buoyancy and therefore more weight capacity per given length. So two paddle boards of similar width and length but one is thicker, it will support more weight. Inflatable SUPs have become very popular of late for some good reasons. Lets take a look at both types to see what is best for you. 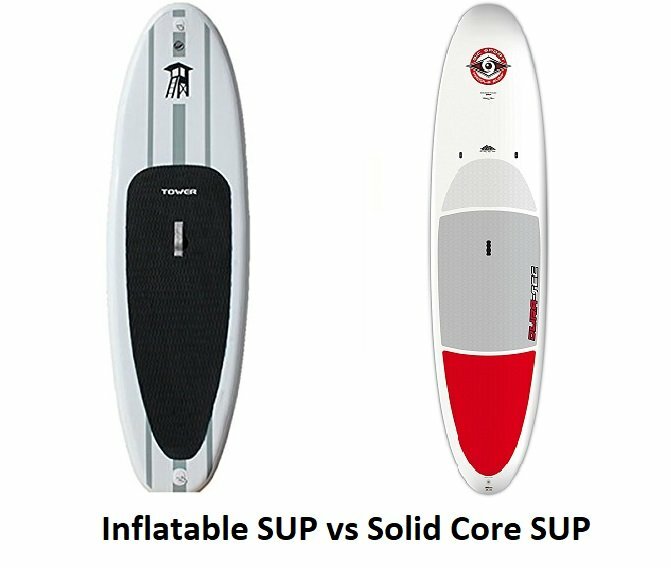 An inflatable SUP is made from a PVC, drop stitch design that when inflated to 10-15 PSI becomes very rigid, approximating a solid SUP. 2 – Storage Area: Live in a small apt, or condo? Then an iSUP may be your only option as a solid core SUP will take up more room and is harder to store. 3 – Traveling: Want to bring your SUP with you on a plane or long distance in your vehicle? An iSUP will be far easier to transport and store. An iSUP can be checked while a solid core, even if it could be checked, do you trust the airline with your board? 4 – Yoga: While an inflatable is not “soft” they have a bit more give making them more comfortable for doing your Yoga poses. If you like these advantages, see my iSUP reviews, I will give you some recommendations on my favorite iSUPS. 1 – Stability/Rigidity: A solid paddle board is by its nature more solid and rigid which gives you a more stable ride. They are also a little bit faster, and more maneuverable. 2 – More Size Options: Solid SUPs are available in far more lengths and widths so you can get the perfect size for your needs. 3 – Performance: A solid SUP is faster and better for touring and speed. If you are out all day paddling a solid board may be a better option. 4 – Last Longer/Simpler: With a solid SUP there is nothing to inflate/deflate of puncture. Just put it in the water and go! Q: Where do you plan to paddleboard? A: Whether you are planning to board in the ocean with the possibility of some pretty big waves or you stick to flatter bodies of water like small rivers, lakes, and ponds, this can affect the type of board you buy. 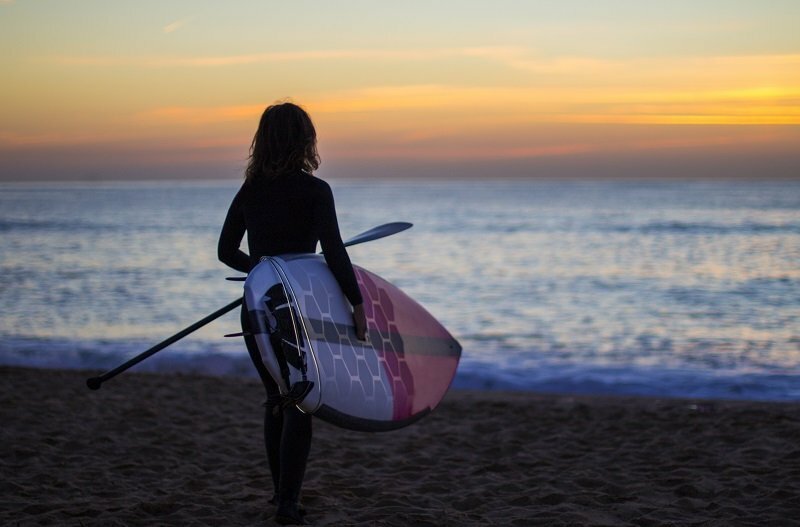 Some boards are very diverse and can be used in any body of water while other boards are perfect for training but don’t stand a chance when put up against huge waves. Knowing where you plan to go boarding is important. If you aren’t really sure or want to try out many places, it’s probably best if you buy a board that is suitable in diverse settings. Q: What size board are you interested in using? A: When deciding on your board size, it is a little more complicated than small, medium and large. You have to consider the length of the board first. Most boards range from 9 to 14 feet in length, though there are some that are longer and shorter. Longer boards are generally used for long distance paddle boarding and racing. Shorter boards tend to turn over more easily but they are significantly easier to use when riding the waves because it’s simply easier to control a shorter board. Depending on your goal for boarding, this will help you better determine the best SUP length for you. Board width is also important. Most boards start at about 32” wide because anything under 30” can make it a little more difficult to keep your balance. Narrower boards are usually faster but finding your stride can be a bit more of a challenge. For beginners, it is probably best to use a wider paddle board until you get comfortable on the water. Finally, when determining what size to get, a general rule of thumb people will suggest that a beginner start with a board that is twice their weight. Once you have gained experience, you can choose to go with a larger or smaller volume for your board. Q: What material do you want your board to be made of? A: There are many different options here. You can choose from wooden boards, foam boards, inflatable boards and even hybrid boards that are made of a combination of these and other materials. Depending on the material used to make the board, the board may be heavier or lighter and more or less durable. The price range is also affected by the materials used to make the board. Q: How much do you weigh and how tall are you? A: These questions aren’t asked to judge you, it’s just simple fact that if you are short, paddle boarding is going to be quite different for you compared to someone who is a towering giant and vice versa. The same is true for weight, whether you are slim, curvy, muscular or somewhere in between, it is important to consider your weight because certain boards have certain weight limits. But also, if you are light weight, a big heavy board may be difficult for you to maneuver not only in but also out of the water. Q: Are you planning to race or just have a fun leisurely ride? A: This actually affects multiple aspects in the board buying adventure. If you are planning to race, you will have a different nose shape than you will need if you are just planning to have nice and easy rides. The weight of the board, the tail shape and the contour of the bottom of the board can make racing more or less difficult and should be considered when you are board shopping. 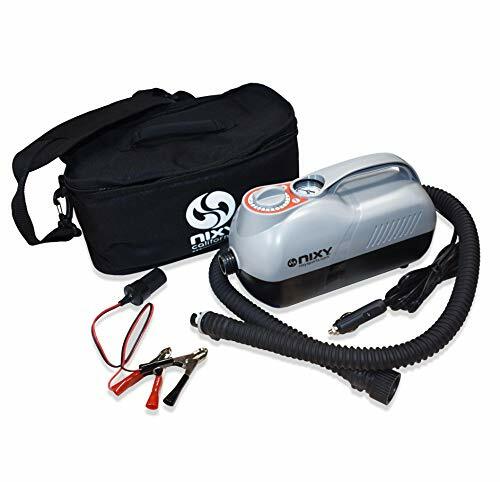 Once you have made your purchase, it’s time to get started learning how to use your new toy. 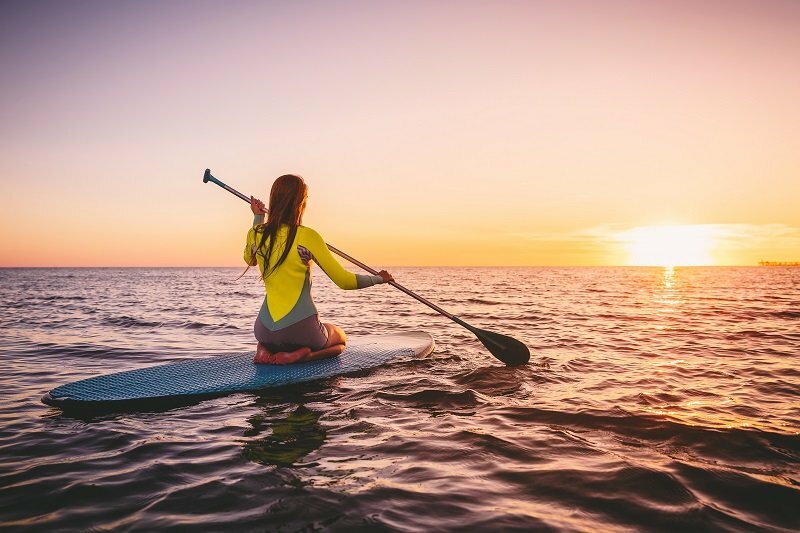 Paddle boarding can be a bit challenging, especially if you are just starting out but don’t worry, with enough time and practice, you will figure it out. You won’t be able to jump from the start and ride all of the killer waves you have been dreaming about. Take things slow at first and the build up your intensity as you progress. Anything that is worth doing usually takes time and practice. This is true with paddle boarding. If you go for the monstrous waves on your first few tries, you could get hurt, or even damage your confidence. Water is a powerful force and even the most experienced paddle boarders know when to ride and when to let the wave go. Remember why you wanted to start paddleboarding – think first and take things slow. Though you may think it is uncool to use the leash, you will soon realize the importance of it. It’s there not only for your safety but for the safety of those around you. Don’t be that girl or that guy who is too cool for safety. Decide which leash is best for you and then use it! Whether you are in the ocean, a lake or a river, there is enough room for everyone. You don’t have to be in the same space as others who are paddleboarding. Give yourself and others plenty of room to do their thing. There are plenty of waves to go around, you don’t have to share the same wave, just the same body of water. Be considerate of other paddle boarders and you may even make some new friends and get some helpful advice in the process. Everyone falls of their board from time to time. It doesn’t matter if you have been paddleboarding for ten minutes or ten years, falls are unavoidable. However, you can help yourself to avoid getting seriously injured if you will simply learn to fall properly. Paddleboards are not soft plushy pillows so they can hurt pretty badly if you fall on them or you get hit with them after you fall. The most important thing to remember is to fall away from your board. If you fall on the board or the fin, it can cause serious injury and no one wants that to happen. Though it is so much more fun to practice tricks and catching waves, it is probably a good idea to practice wiping out a couple of times, too. When you think you are going to fall, think fast and fall away from the board and in the opposite direction that the board will be pushed by the waves. 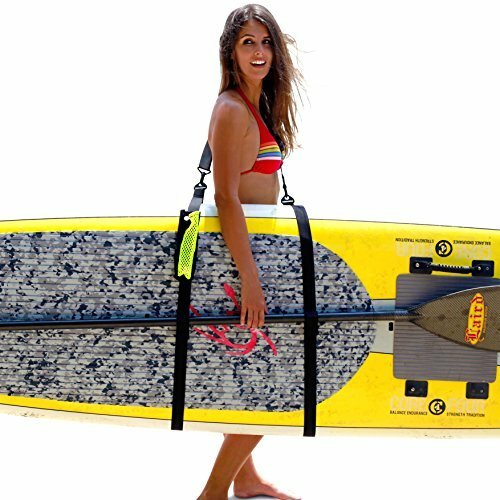 If you are using the leash like you are supposed to, you won’t have to worry about losing your board because it can’t go far if it’s attached to you. This may seem like the most obvious thing in the world but for those who are new to paddleboarding, it’s an important reminder. If you’re not sure, that’s okay, what better time to learn than now. Take a look at your board and find the fins. If you are riding the board correctly, the fins will be at the back of the board. This will help you to paddle more easily. If your fins are at the front of the board you will be fighting against the waves and your board will be fighting against you, making you more likely to fall off the board when you try to catch a wave. Video: Some tips and common mistakes beginners make. Q: Is Stand Up Paddle Boarding good exercise? A: YES! It is a low impact exercise that just about anyone can do. It works out your arms, shoulders and core. Q: How do you stand up on a paddleboard? A; Start by kneeling on the board and paddling. As you get comfortable, move up one knee so your on one foot and knee. Then push up with the foot on the board and stand up. Important: You are not surfing! Both feet should be pointed forward. Q: What are the different types of paddle boards? A: There are quite a few types of paddle boards. There are solid core SUPs, inflatable SUPs, racing/touring SUPs, Yoga SUPs, Surfing SUPs. Q: How do you keep your balance on a paddleboard? A: Keep your feet parallel, toes pointed forward. You should be in the center of the board, with your knees slightly bent. Then paddle using your core and shoulders and NOT just your arms. Q: How much is a paddle board? A: Paddle boards range widely in price. Cheap, beginner SUPs can cost as little of $300 and go up into the thousands. Q: How heavy is a paddle board? A: Paddle boards range from as little as 15 pounds all the way up tp 50 pounds for the larger touring SUPs. Q: What is a stand up paddle board made of? A: Solid core paddle boards are made of a Expanded Polystyrene (EPS) core with a shell of epoxy/fiberglass for stiffness and waterproofing. Q: How long is the typical stand up paddle board? A: It depends on what the paddle board is being used for. The typical, all around paddle board ranges between 9 and 12 feet. Consider your Skill Level – If you are you a complete beginner, go with a wider, longer board that is easier to balance on. 32″ inches wide is probably with minimum width you should look for and at least 10′ long. What Will You Use it For? – Are you planning on paddling in calm lakes and rivers or rougher ocean conditions. Perhaps you will surf with it, either way there are paddle boards for each type of conditions you plan on paddling in. What Type Do You Want? – We have covered this but it’s worth mentioning again. There are two main types of paddle boards, iSUPs and Rigid SUPs. Each have their advantages and disadvantages. Review the differences here. Can You Store and Transport it? – This goes hand in hand with the above question. Do you have room to keep a paddle board where you live? You will probably want a rack to store it on so it doesn’t get damaged. Do you have a vehicle to transport the SUP? You will most likely need a roof rack to transport it. What is your Budget? – Lastly, how much can you afford to spend? Rigid SUPs tend to be more expensive than iSUPs. You can get prices for iSUPs under $300. Rigid SUPs usually start in the $500 range. There are plenty of other things that you should consider and be aware of, like the direction of the wind, the correct way to paddle, how to stand up, and being aware of your surroundings at all times. Much of this is just common sense but it is important to be reminded of these things. This is just a quick guide with some key points to consider. Remember that paddle boarding is supposed to be fun but if you aren’t careful, what is supposed to be an exciting sport to do with family and friends can take a tragic turn. Be safe, be smart, and have fun on your exciting journey to becoming a paddle boarder! I hope this guide was helpful for finding the best stand up paddle board to fit your needs. If you want to comment or recommend a SUP I didn’t include, please use my contact form to get in touch. No matter what paddle board you go with, have fun out there and be safe! The ISLE Versa is our Editor's Choice for the best stand up paddle board with its combination of stability, versatility and value.